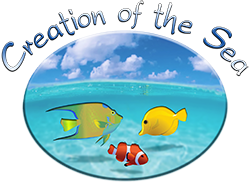 We have a 110-gallon reef habitat aquarium which Creation of the Sea installed about a year and a half ago. Lou, the owner, is an expert in all aspects of aquariums. He has created a tank that is of show quality, simply stunning! The tank is all natural and very, very quiet. There is a lovely balance of color and a good variety of coral, fish, live rock, inverts, and plants. We purchased lighting which simulates the dawn/dusk/clouds/sun/lightning that is critical in replicating sea conditions. Just when we think the tank couldn’t get any better, Lou tweaks it with a new addition. Service is biweekly and pricing is very reasonable. Cost and options for a new tank are very good. Lou helps design the tank with your input. There is a selection of custom cabinetry, which I chose to do, and highly recommend and the choice of an acrylic tank versus glass tank. My guests are always in awe of this beautiful living “picture” in my office!